The front entrance to your home can be very grand, creating a feeling of style and opulence as you enter. To create a stylish, grand entrance decorative mouldings open up a whole world of possibilities, from columns to decorative features above the doorway. 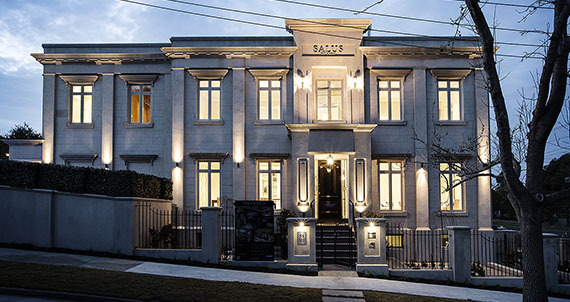 These homes will all have grand entrances, created with different house mouldings. A large Georgian replica house, sixty three squares situated at Treevalley Drive in East Doncaster has a very grand façade. The portico in front of the entrance boasts columns with feature panels and a feature panel on the top storey above the entranceway is a moulding with roman numerals XV11 for the street number. Further decoration is achieved with large feature corbels at the top of the portico. The large parapet moulding at the top of the building measures 400mm x 300mm. The windows are highly embellished with quoining panels between the windows, architrave profiles directly around the windows and window headers with feature corbels. Quoining panels around the garage continue the ornate façade of the building. A post-modern double storey fifty squares plus house at Ruby Place, Donvale has feature mouldings above the doorway resembling two curved picture frames. 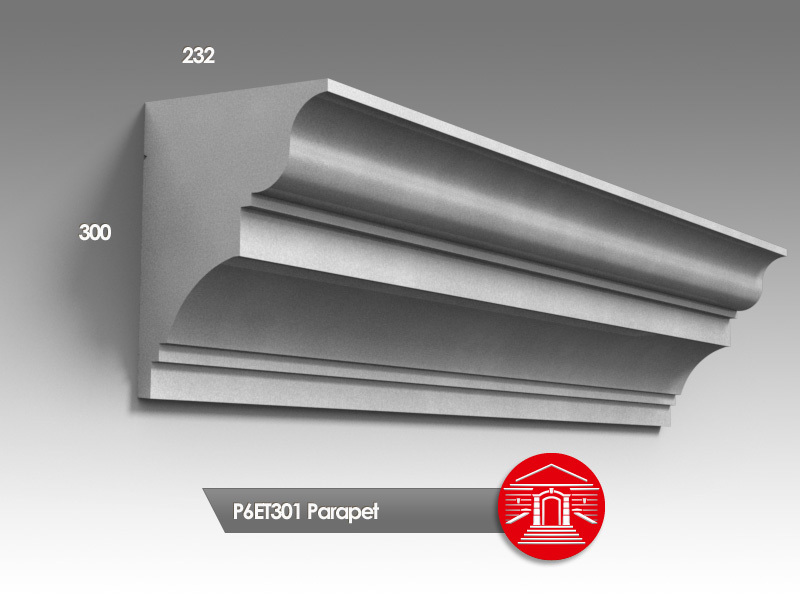 These sit above the entrance that features an arched effect created by a larger flatband moulding measuring 200mm x 25mm. Flatband mouldings have also been incorporated as window architraves, giving a slightly different look to the window finish. A home which will be constructed in March, 2015 in Alexander Avenue, Canterbury will boast two fluted columns at the front entrance with a special moulding measuring 1620mm wide by 420mm high, resembling a plaque, as a feature over the main entrance. This double storey home of over sixty squares is being built in the French Provincial style and the Finishing Touch are busy preparing the mouldings for the build. A Balcony doorway will have a feature architrave with rivets and decorative keystone, adding more embellishment to the front entrance. A special architectural feature is to use mouldings for window reveals, this is not a usual practice. Architectural decorative mouldings add style and character to a home. Now with the new lightweight mouldings available from the Finishing Touch it is easier to add house mouldings to a build or home renovation. A new fifty squares, double storey home being built in Sandford Street, Highett has used the Finishing Touch lightweight Flatband mouldings to create a decorative finish. The Flatbands are supplied in twelve lengths, each three metres long x 120mm. x 50 mm. in a sandstone finish, ready for painting once installed. Decorating windows with mouldings can really dress up a home. Window architrave and window sill mouldings were chosen to finish a brand new, single storey post-modern home of 38 squares in Orchard Lane, Warren Heip, near Ballarat recently. Wantirna Home Repairs, a home repair company, has called on the Finishing Touch to supply a stringer mould to replicate an existing stringer measuring 90mm x 40mm. This replica stringer represents ten metres of the existing façade. The lightweight moulding will be manufactured from a high grade EPS polystyrene, then triple coated with a multi-part compound and reinforced with a triple coating of sand for a sandstone finish. The moulding is then factory coated in a clear primer to seal, ready for painting. 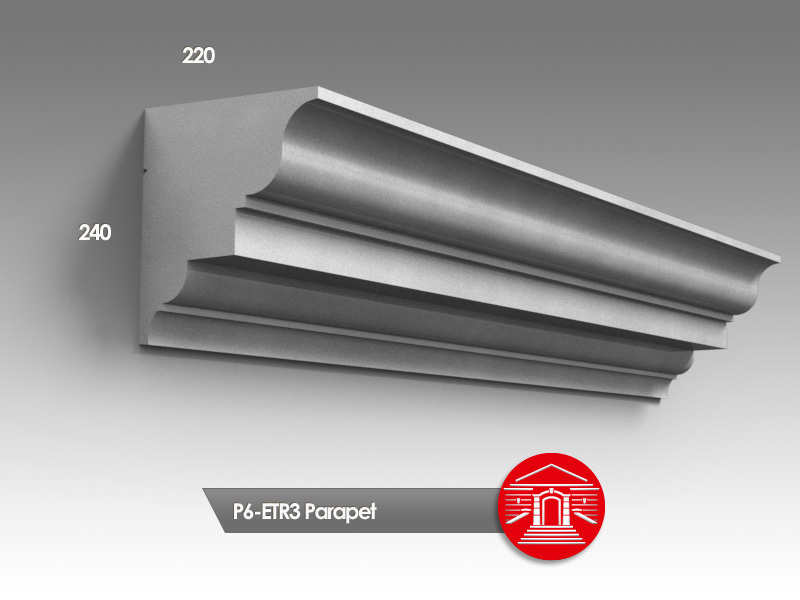 The Finishing Touch are installing 15 x parapet mouldings, 208 mm width x 180mm high and totalling 36 metres in length inside one of the retail stores at the East Village Shopping Plaza in Zetland, NSW. 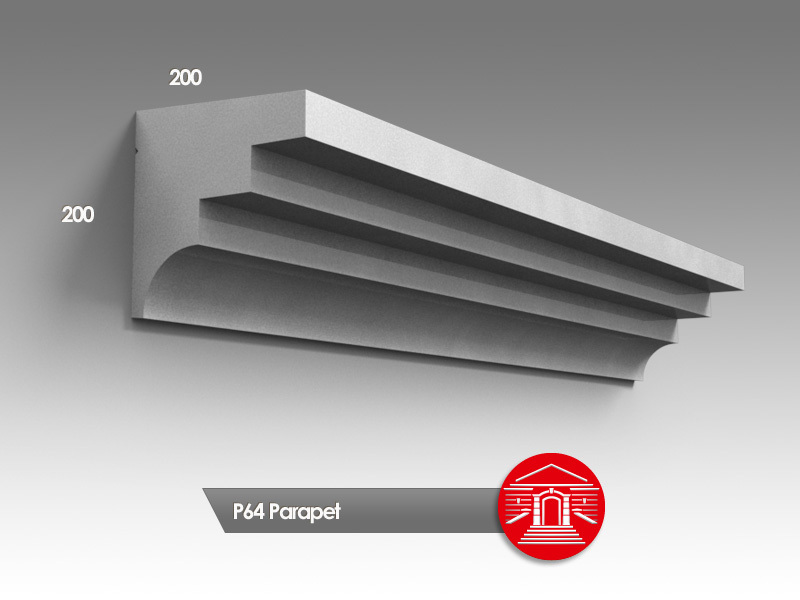 The lightweight parapet mouldings will dress up the store ready for opening. Decorative mouldings help finish a build or renovation, whether external or internal, and help to create a distinct style whether it be modern, French provincial, Tuscan, Georgian or Art Deco. An older block of flats in Rathmines Road, Fairfield will be refreshed with the addition of decorative architectural mouldings supplied by the Finishing Touch. The window architraves and corbels in lightweight mouldings will not crack or warp and will last a long time, helping to keep the building looking well maintained. The mouldings are made from computer cut high grade EPS polystyrene. Sandstone finish mouldings are then triple coated with a multi-part compound and reinforced with a triple coating of sand for maximum strength and durability. 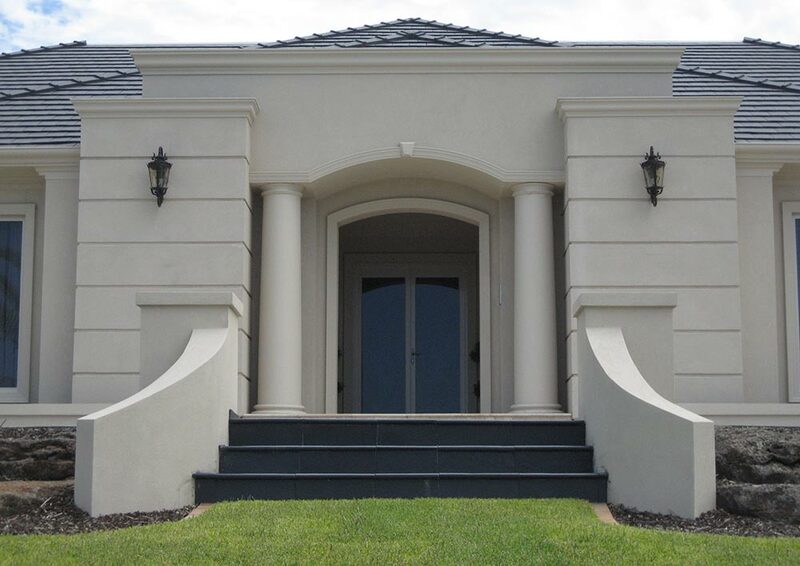 The smooth finish mouldings are reinforced with fibreglass mesh and coated with 1 or 2 coats of an impact resistant and flexible polymer modified cementitious render for durability. Building a house so magnificent that you increase property prices in the area is quite a feat. The gorgeous Georgian style house at 51 Hoskin Street, North Balwyn drew the second highest sale price for a house ever in North Balwyn at $4.1M. Unfortunately for the builders they priced themselves out of the neighbourhood. They had planned to buy an older style home in North Balwyn, demolish it and rebuild another spectacular home. With property prices increasing in the area by half a million their plans were dashed! They also provided mouldings of letters for the words on the house. Mouldings used to help create a Georgian style are more squared in shape. Whereas mouldings used to help create a French Provincial style are more curved in shape. A block of flats in Rathmine Street, Fairfield is a very plain, square building. The existing window sills are flat brick sills rendered over with concrete, which are difficult to work with. The solution to update the look of the building was to put corbels either side of the windows with architraves around the window, creating a decorative and more finessed finish to the building. A project under development is a single storey house being build in Pine Ridge Road, Kinglake West. The decorative moulds that will add a decorative touch to the house are – arch with keystone, parapets, parapet eaves, window architraves, window sills and feature blocks under the windows. These blocks will sit under the window architraves and above the sill. The architraves will be cut 200mm to allow room for the block to sit flush.